I am really excited, I’ve just booked my tickets for the 2019 Goodwood motor racing season’s 77th GRRC Members’ Meeting, Festival of Speed and Revival. Goodwood’s quintessential British motorsport events celebrate not only the best of historic racing but also the cutting edge and contemporary in the automotive world. It’s a winning combination here in heart of West Sussex. Once again the historic racing season will open with the 77th GRRC Member’s Meeting on the weekend of 6th and 7th April 2019. 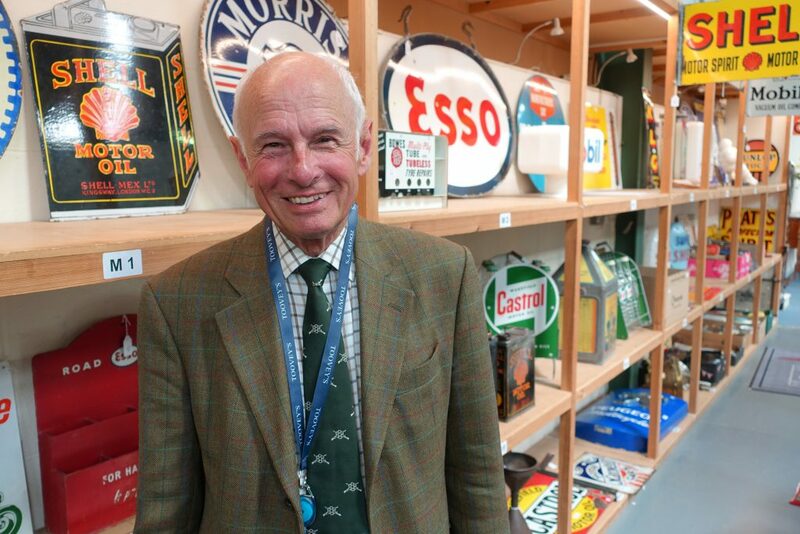 The GRRC spring Members’ Meeting captures the atmosphere of the motorsport meetings at Goodwood in the 1950s and 1960s. 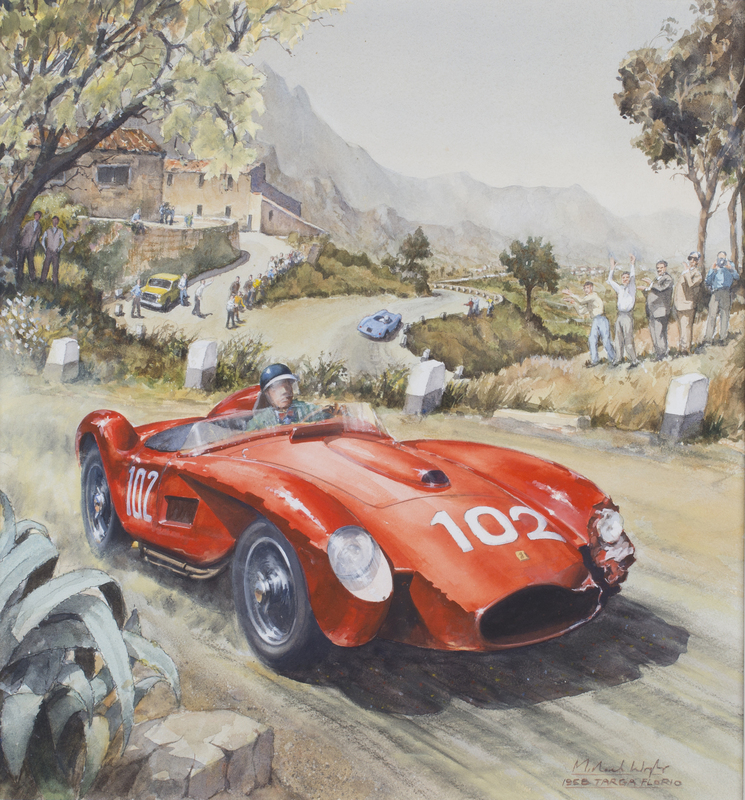 This celebration of motor racing is exclusively for members of the Goodwood Road Racing Club (GRRC), and the GRRC Fellowship. It has its own unique atmosphere. This member only event allows enthusiasts, drivers and car owners to mingle in the paddocks amongst the automobiles sharing what the Duke of Richmond describes as ‘a common passion’. The reputation of the Goodwood’s Festival of Speed continues to grow attracting many of the world’s leading racing drivers and marques. As testament to this Tesla chose to debut its hugely influential Model 3 in the UK at the 2018 Festival of Speed against the backdrop of exotic machines hurtling up the famous hill climb. The best of British was also on display with Jaguar Land Rover, Aston Martin, McLaren and Rolls Royce all much in evidence. The 2019 Festival of Speed is scheduled for the 4th to the 7th July. 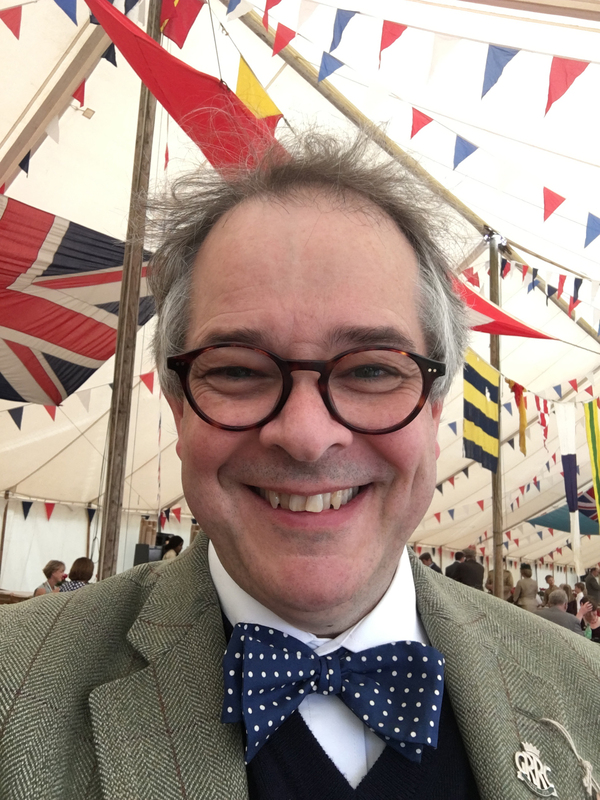 September’s Goodwood Revival has a unique and special quality to it attracting vintage outfits as well as cars. With my love of bowties, sports jackets and cords as my everyday attire I fit right in! The Revival celebrates the halcyon days of motor racing with the accompanying glamour of the 1940s, ’50s and ’60s. 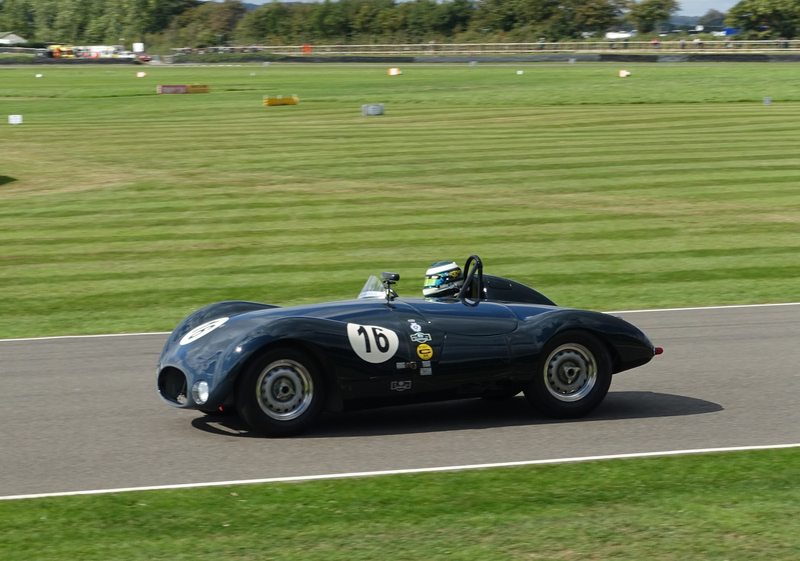 At this year’s Revival Katarina Kyvalova, herself no stranger to Goodwood and historic motor racing, was once again driving her 1954 Cooper Jaguar T33 in the 25 minute Freddie March Memorial Trophy for sports cars made between 1952 and 1955. It’s the longest race of the weekend and Katarina’s performance once again provided a welcome reminder of the Cooper team’s competiveness and important place in sports car and Formula 1 motor racing. I love the purposeful, clean lines of the Cooper Jaguar T33, especially in British racing green. Next year’s Revival will take place from the 13th to the 15th September 2019. To find out more about the benefits of membership of the GRRC and GRRC Fellowship, how to join, and this year’s Festival of Speed, Goodwood Revival, and to book tickets go to www.goodwood.com/sports/motorsport. The 2018 Goodwood motoring season quickly sold out so don’t delay! I arrived on the Friday to be greeted by the wail of the Jaguar XJR-9. The sound of its 7.0 litre V12 engine at high revs is hugely evocative. I remember watching Martin Brundle, Andy Wallace and John Neilsen win the 1988 1000km at Brands Hatch. I’ve never forgotten the sound and the flames coming from the exhaust as the car raced through the woods of Dingle Dell. Andy Wallace would go on to win Le Mans that same year in the Tony Southgate designed XJR-9 with fellow drivers, Johnny Dumfries and Jan Lammer. The scale of Jaguar’s achievement becomes apparent when you consider that between 1981 and 1987 Porsche had won seven consecutive Le Mans. Porsche first competed at Le Mans in 1951 and has won at the famous Circuit de la Sarthe on 19 occasions with 17 outright victories; more than any other manufacturer. Porsche celebrated 70 years of motorsport success at this year’s Festival of Speed. The magnificent installation on the lawns of Goodwood House suspended a number of icons of Porsche automotive design high above the crowds. On the hill climb the crowds were treated to an array of racing Porsches which included an example of the Porsche 962C which won Le Mans in 1986 and 1987 at the hands of British Driver Derek Bell. 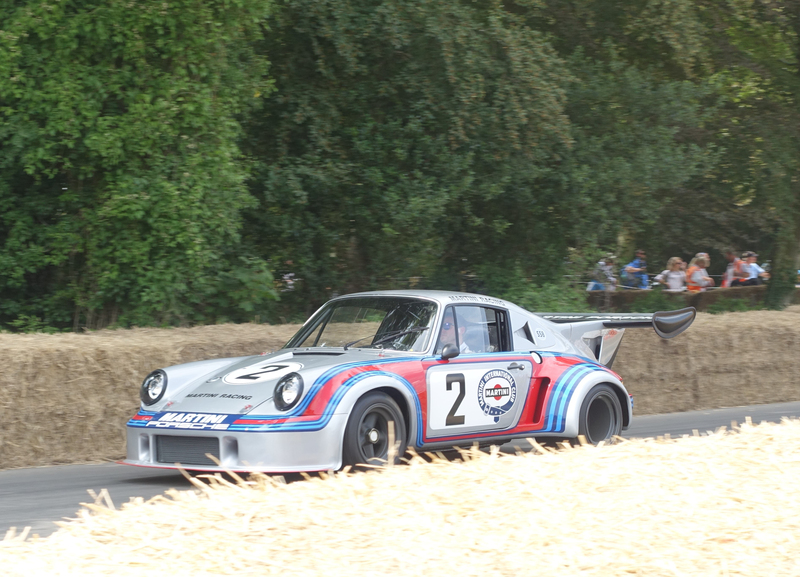 Porsche GT racers, Rally cars and Single seaters were also keenly represented. The Cosworth years were also celebrated. From 1968 the 3.0 litre V8 Cosworth DFV engine transformed the opportunities of numerous Formula 1 cars and teams. Amongst these was the Matra–Cosworth MS80 run by Tyrell which swept Jackie Stewart to victory in the 1969 World Championship. Stewart would win two more Formula 1 World Championships with the Tyrell–Cosworth 003 and 006 in 1971 and 1973. It was poignant to watch Jackie Stewart driving the Matra–Cosworth up the Hill followed by his two sons Paul and Mark in the Tyrells. 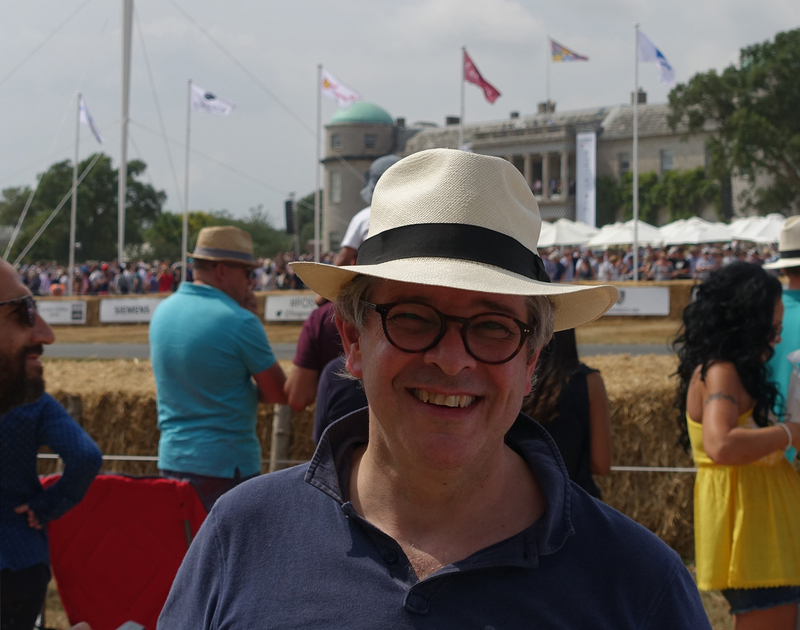 Interviewed at Goodwood after the drive with his sons Sir Jackie Stewart reflected fondly “Goodwood has a habit of bringing everyone together.” The weekend had the atmosphere of a huge motoring party. As the exuberant sound of the racing cars and bikes at Goodwood Festival of Speed ended the cacophony of sound, the smell of racing oil and tyres and the spectacle of speed and colour faded to memory and thoughts turned to the evocative 2018 Goodwood Revival. This year’s three-day event will be held on the 7th – 9th September. The Goodwood Revival celebrates the halcyon days of motor racing with the accompanying glamour of the 1940s, ’50s and ’60s. For more information or to buy some of the few remaining tickets visit www.goodwood.com.